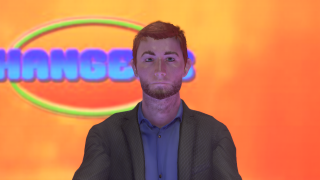 Hangers is a Hangman based game show game that is playable in both VR and non-VR modes. It supports voice control for a more immersive VR experience. 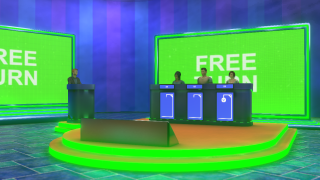 Hangers is a game show game based on Hangman. 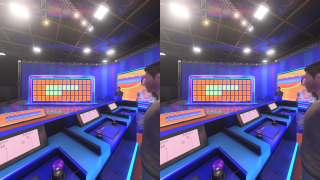 It is similar to the famous game show also based on Hangman, but with some differences to differentiate it as well as make the VR immersion better. Guessing wrong gives you a hangman piece. When your hangman avatar is complete, you will lose 25% of your current earnings as a penalty. There is also a HANGMAN piece on the spinner that will add a piece to your counter. 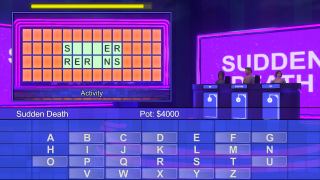 You do not have to buy vowels, instead you are given a limited number of them and can get more by landing on a VOWEL spinner item. 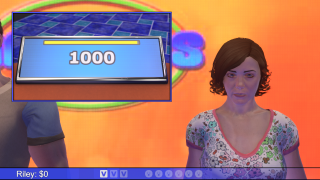 In order to allow complete use of voice acting, you do not solve the puzzle the way you do on that other game show, or in a real game of Hangman. Instead, when you think you know the answer to the puzzle you challenge the others to a sudden death round. 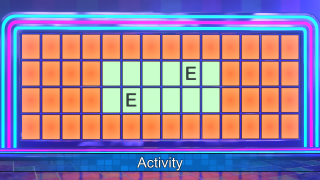 In this round, you'll guess letters until you get one wrong. The other players keep guessing until you get one wrong as well, but get a hangman piece for each incorrect answer. 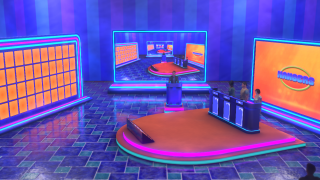 If you successfully solve the puzzle, you will get the dollar amount of your spin times the letters remaining on the board at the start of sudden death. If you fail, your two opponents will split that pot. The game also features voice control mode for users of Windows 10, which should help aid in VR immersion. Since voice recognition cannot accurately distinguish between individual letters, the military spelling alphabet is used. There will be a cheat sheet so you do not have to have the alphabet memorized.